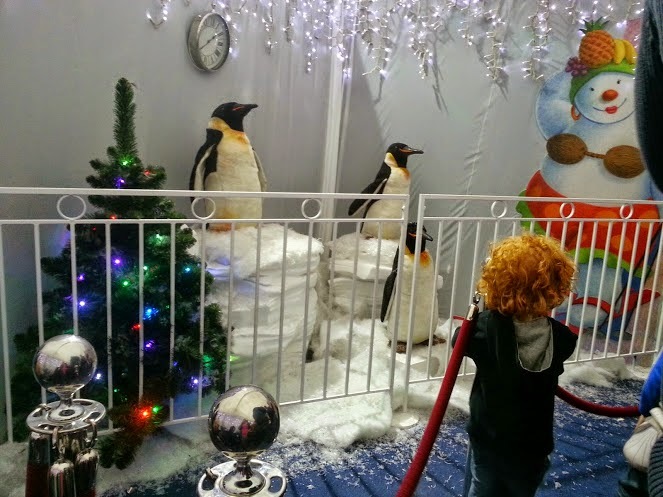 Last weekend we were treated to a fabulous day out courtesy of intu Trafford Centre and The Snowman And The Snowdog Santa's Grotto. Our day started quite early as we decided it would be good to do a bit of shopping before our timeslot at 1.30pm. 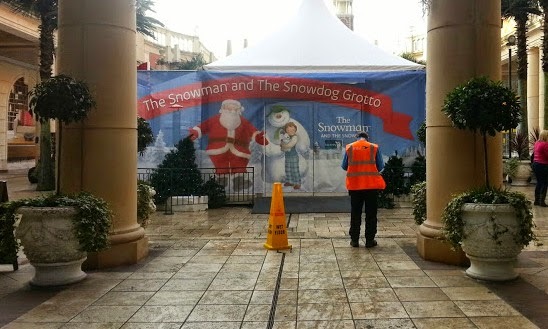 Barton Square at The Trafford Centre was covered in The Snowman and The Snowdog images, and the little boys got quite excited straight away. They didn't know we were going inside later! 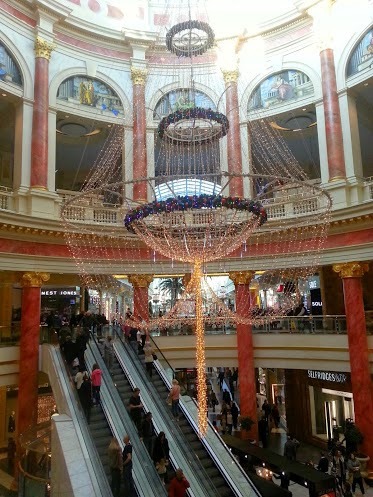 The intu Trafford Centre itself is always really beautifully decorated, and it's actually a lovely place to get into the festive spirit. Although it was Saturday morning during 'Black Friday weekend', it wasn't too busy, and we were able to stroll around without huge crowds. When you book - either online or in person, you are given a time to arrive. We discovered you are best to be there 10 minutes early or else you get caught up in the queue for the next timeslot, and if you are late then they may not be able to fit you in immediately. 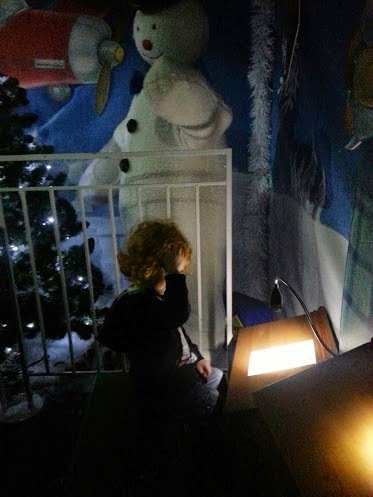 We went into the huge tent fairly promptly on time, and the magic starts straightaway - animatronic penguins, icicles and fairy lights everywhere! 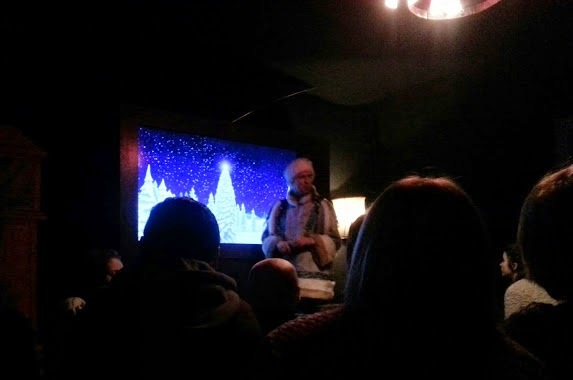 And then the curtain pulls back and you see why they're so strict on timings - everyone files into a small room to be introduced to the story of The Snowman and The Snowdog. Most of the children sat on mats at the front, and the adults sat on benches. The film was only around 5 minutes, and in clips, and the 'Elf' chatted to the children throughout, asking questions and getting them excited. 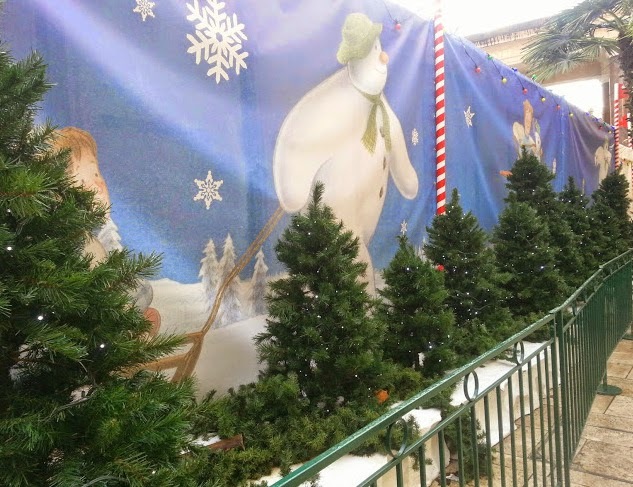 Then you walk through a pathway with animated snowmen from The Snowman and The Snowdog. 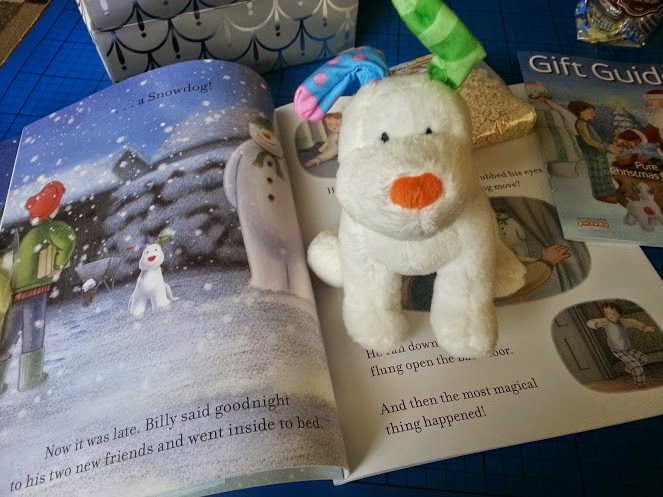 My children are familiar with the book and film, so they recognised some of the snowmen. It was beautifully done. Santa was in fact on very good form, and a lovely chap - as were all of the staff we met. 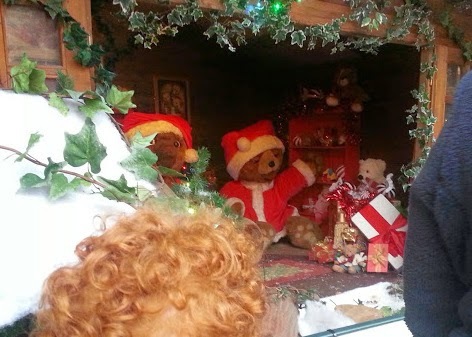 Some of the Elves were very funny and really made my children giggle. 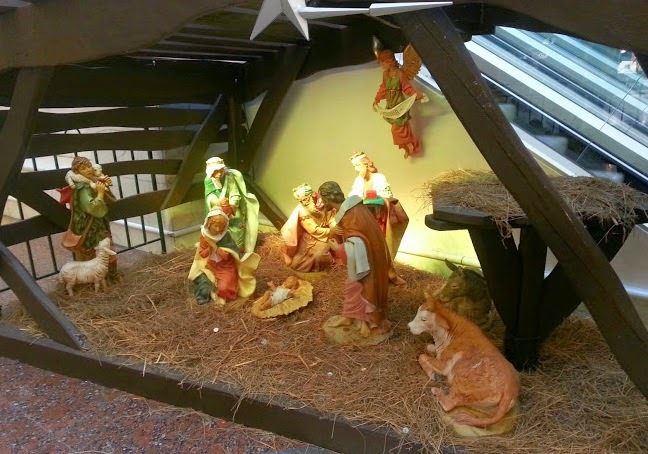 The dark-haired male Elf who printed our photo has definitely found his vocation. 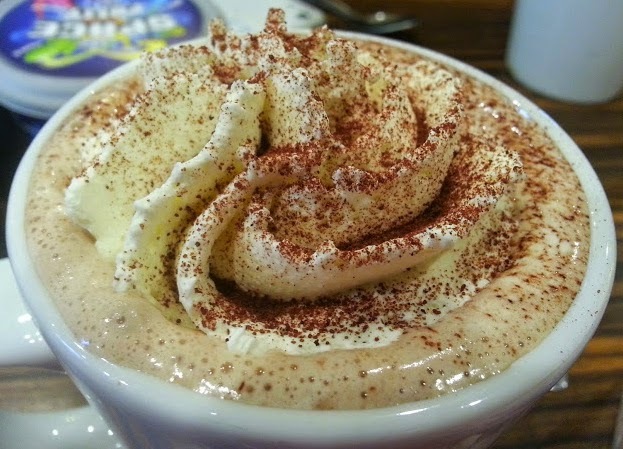 We nipped in Cadwaladers for a Festive Hot Drink (Praline Hot Chocolate which was just gorgeous!) 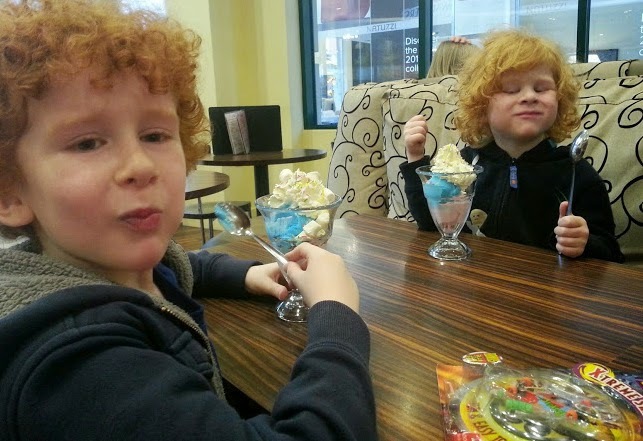 and an Ice Cream Sundae before we left. I love it in there and have mentioned it before in one of my LEGO Discovery Centre posts. The prices are great, the quality excellent, and you could even get a child's cone for £1 in Summer! 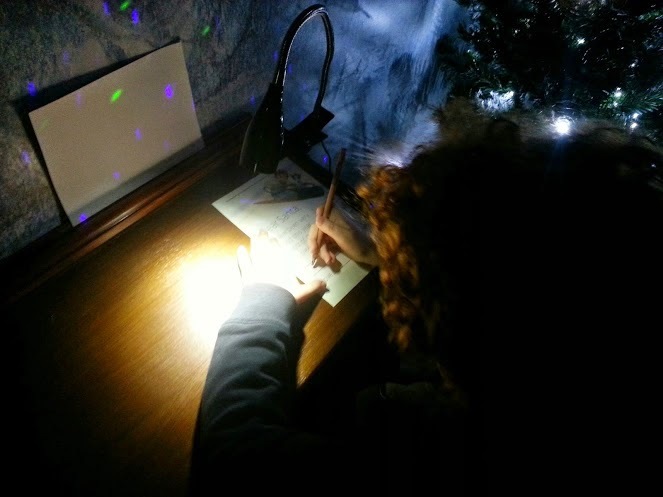 The presents that my children got from Santa were very well thought out, age-appropriate, and I noted that children seemed to get all kinds of different gifts, which was excellent. 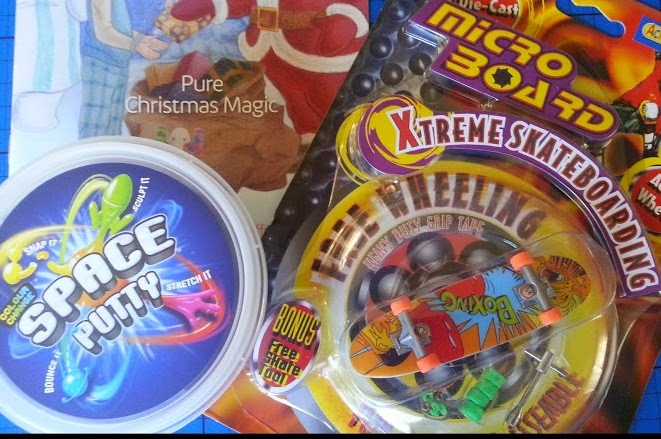 Santa seemed to have some free choice about which gifts he gave, which I really liked, and my lads were delighted with theirs. 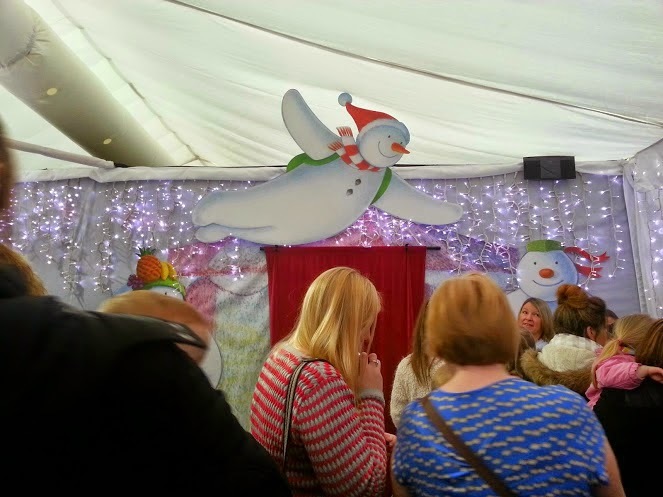 The Snowman and The Snowdog Grotto is open to all ages. 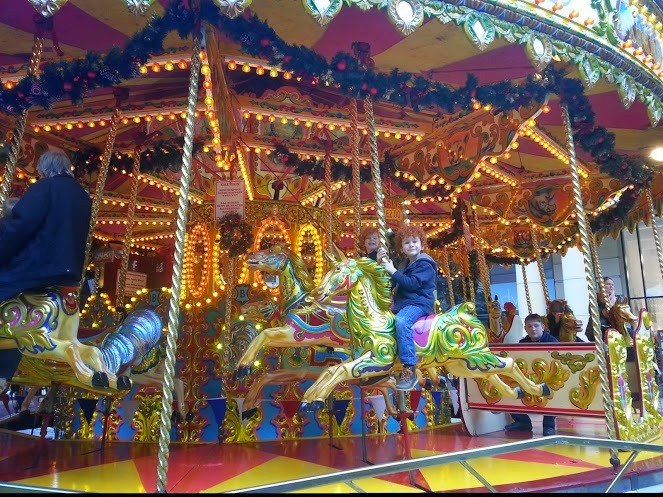 Tickets cost £4.50 per child which includes a gift and £2.50 per adult. Last admission time is 20 minutes before closing. A £2.50 transaction fee will be added to your order when booking online. Love the setting. 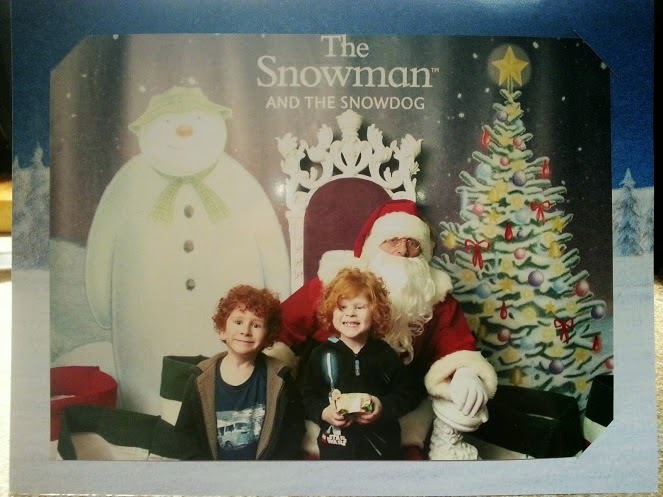 My kids both of them love Snowdog, they would love to go there! The price is so reasonable too. This looks fab! I'll need to mention it to my sister since they stay closer to there than we do LOL. 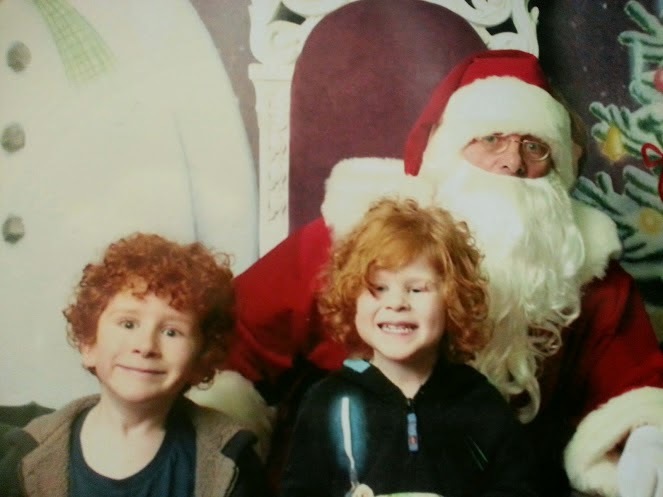 This sounds like a really magical Santa visit and that photo is just priceless!